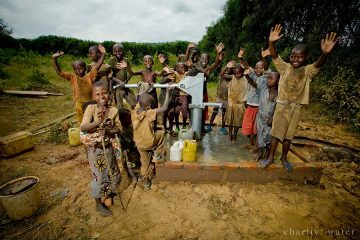 Clean water is a vital resource for a healthy life. According to the United States Centers for Disease Control and Prevention, 780 million people worldwide lack access to an improved water source. This means twice the population of the U.S. drinks unsafe water, which could lead to life-threatening infections and diseases. On World Water Day, charity: water is on a mission to change that. The organization works with local leaders in some of world’s most scarce and impoverished communities to provide sustainable solutions and water filtration systems. Since it was founded over a decade ago, charity: water has funded over 24,000 clean water projects, helping more that 7 million people gain access to clean water. Fundraise — think of a cool and creative activity to raise money (you can host a concert, do an art sale or a bake sale, even set up an online crowdfunding campaign). Pledge your next birthday for clean water — your friends and family will be excited to make a donation in your name to charity: water. Donate — the organization’s operational costs are covered by private donors, so 100 percent of your gift will bring clean water to a person in need. And I also think salt water is Not good for our Environment and I and taste disgusting and Fresh clean water will be good to drink and It’s good for baths showers and Sinks and toilets and for our Earth.